Sleep is an integral aspect of what it is to be human. It has pervaded our language and our popular culture, both as a human function and as a metaphor for other aspects of our lives. There are a number movies that reference sleep in their titles and in their content. There are a great many differences amongst people. Our cultures, lifestyles, hopes and dreams can all vary greatly but there are some commonalities. The popular saying that the only things in life that are guaranteed are death and taxes is not quite accurate, there is one other item that is common across the human race, no matter who you are or where you are from: sleep. We all need it and we all do it, even if some struggle with it more than others. As such a unifying and ubiquitous feature of the human condition, it is no surprise that sleep has pervaded our popular culture. Every year there are more movies made with sleep in the title, here is a list of them and how they connect to this fundamental aspect of what it means to be a human. Sleepless in Seattle was a massive blockbuster starring Tom Hanks and Meg Ryan. A romantic comedy, the movie follows Hanks, a recent widower whose son Jonah calls a radio station on behalf of his father to look for a new girlfriend. Hanks’ anonymous name on the radio is Sleepless in Seattle, a name that refers to the insomnia caused by his ongoing grief. Meg Ryan contacts him and their love blossoms despite the long distance. Sleeper is a Woody Allen movie based loosely on an H.G. Wells novel. Allen plays a jazz musician who is accidently cryogenically frozen only to be woken 200 years later by rebels hoping he can help them overthrow a futuristic police state. This surrealist science fiction movie follows a man whose vivid dreams and imagination often interferes with his ability to interact with reality. The movie uses the dream state to examine the human condition in a number of powerful ways. Sleep is an inescapable part of being human and figures heavily in our popular xulture. 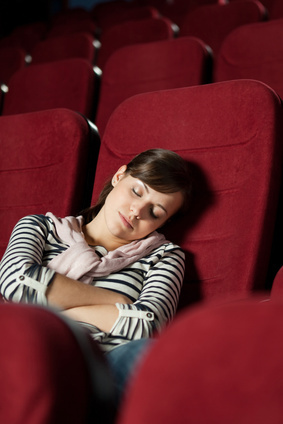 There are many movies that have sleep in the title and focus on aspects of sleep. Sleepless in Seattle, Sleeper and The Science of Sleep are just three of these. Sleep is a part of what it means to be human. It features in many of our most popular movies as we relate to it as a daily habit and interesting process.